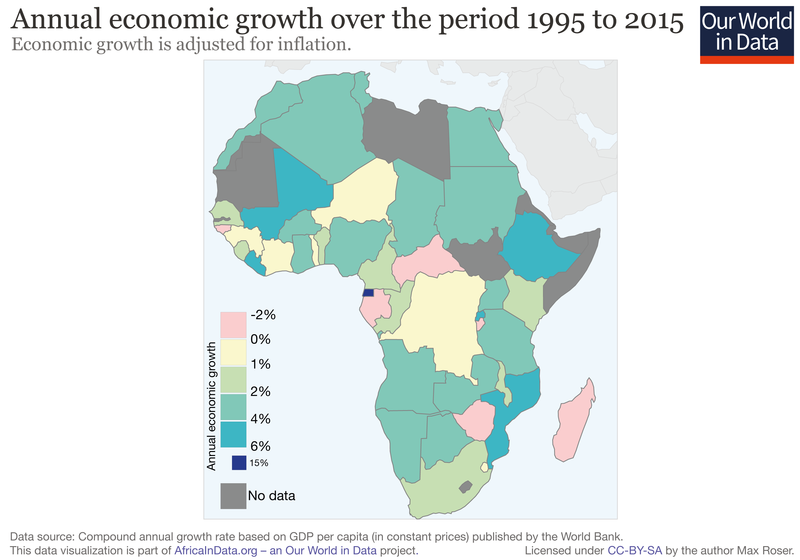 This is a recent article in the Financial Times about African development. 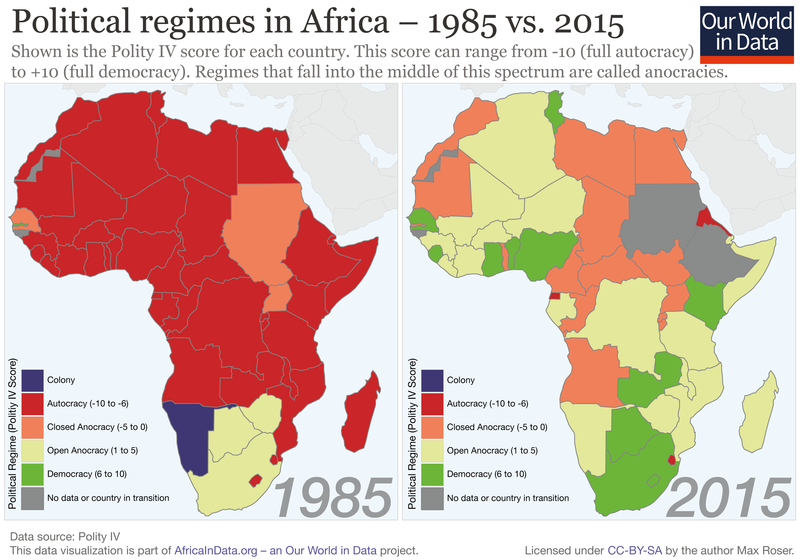 It makes a point that I often do as well: that development in Africa has to be measured on a long-term evolutionary (not short-term revolutionary) basis. It took Europe and North America centuries to become the advanced economies they are today, so it is unrealistic to expect African countries to do it in only a few years. 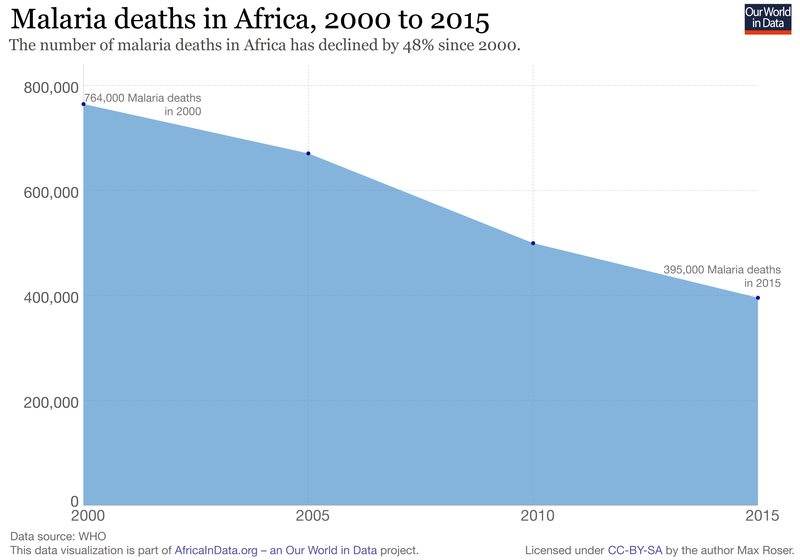 In the early 1980s, Hans Rosling, the late great Swedish physician and statistician, worked as a district medical officer in Nacala, a remote part of northern Mozambique. Three decades later he returned to see what had changed. He was amazed. Where first-time visitors saw only poverty and lack of development, Rosling noticed improvements everywhere. In the hospital, he saw that the wards had lightbulbs and that the nurses had glasses and could read and write. For him it was evidence that — barring a catastrophic setback — Mozambique was on a path that would eventually lead its people out of poverty and towards dignity and prosperity. Rosling fought against what he called the “destiny instinct”. This was, in his words, “the idea that innate characteristics determine the destinies of people, countries, religions or cultures”. At its worst, the destiny instinct is a form of racism, attributing certain qualities to certain races. Saying Africans are inherently corrupt or inherently “tribal” comes under this category. Even in its less egregious form, the destiny instinct is a sort of fatalism. This would have it that because of a country’s historic or cultural trajectory it is doomed to be stuck that way forever. Quite rightly, Rosling had no time for such ideas. After all, half a century ago, people were saying much the same thing about Asia. It was commonly thought that the likes of Malaysia, South Korea, China and India were culturally and institutionally incapable of ever catching up. That proved nonsense. In Nacala, Rosling saw important signs Mozambique could make it too. The country had been torn apart by war in the run-up to independence in 1975 and for nearly two decades afterwards. As a result, some indicators do not look good. 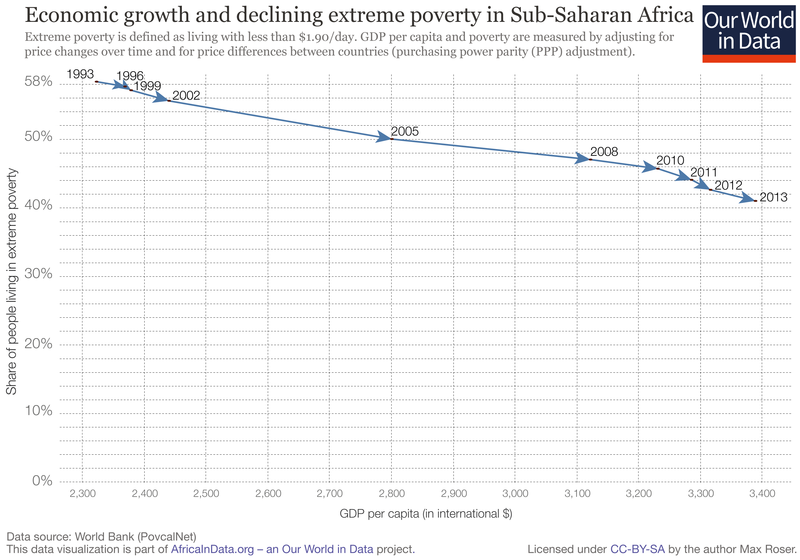 With a nominal gross domestic product per capita in 2017 of $429, it is one of the poorest economies on earth. Yet since 2000, life expectancy has risen more than 10 years to 61. 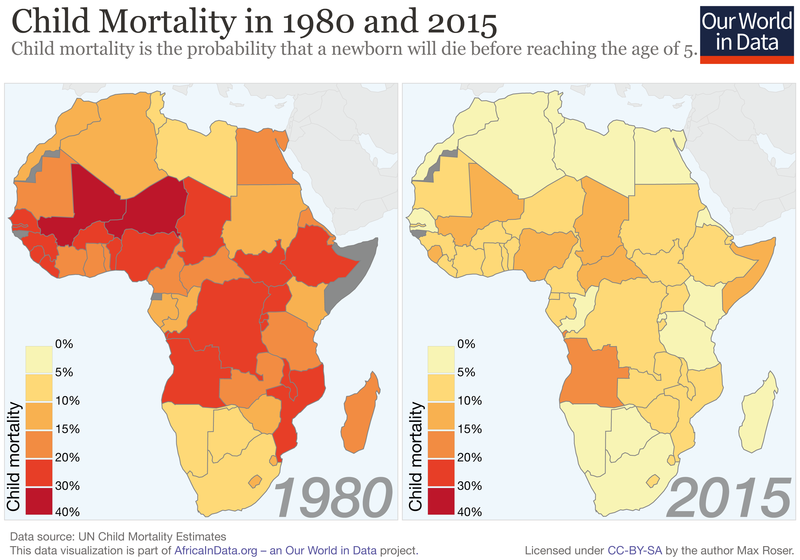 Child mortality has fallen dramatically from 176 per 1,000 to 71. That is still high. 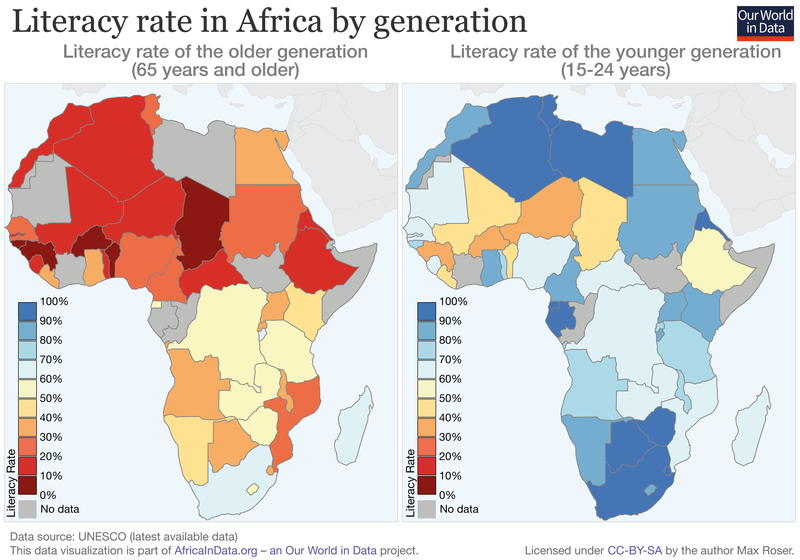 It compares with 49 in Kenya, 7 in the US and 2.7 in Japan. But the direction of travel is clear. As he pointed out, all 50 countries in sub-Saharan Africa have brought down child mortality faster than his native Sweden ever did. Ola Rosling, his son, says our inability to log incremental change is what prevented people from understanding the emergence of China. Few people noticed the enormous progress China was making in the 1980s and 1990s — and even, in terms of literacy and basic health, under Mao Zedong from the 1950s. They saw China’s emergence around the turn of the century as coming from nowhere. In reality, it had been decades in the unglamorous making. 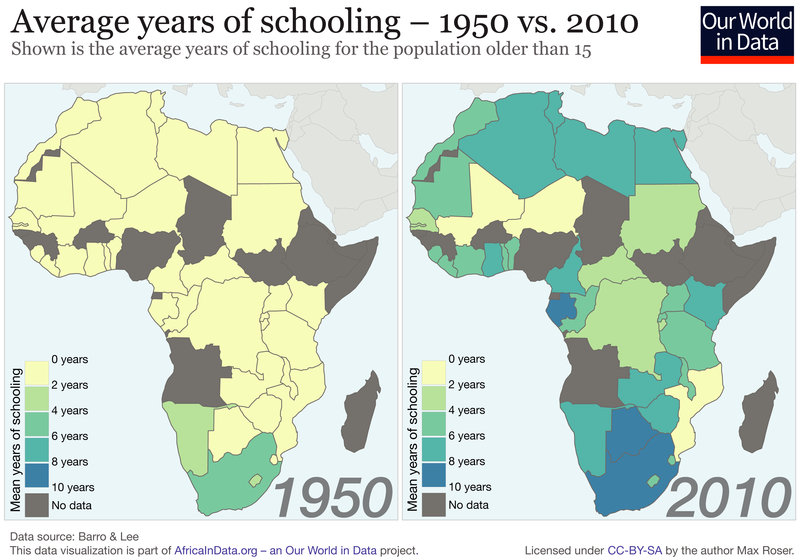 Take schools in Africa. Across the continent, governments have put greater effort into basic education. From 1990 to 2012, primary school enrolment more than doubled to nearly 150m, according to a 2015 Unesco report. I put it to Ola Rosling that, still, one had to be realistic. Teachers were often absent or illiterate and in many schools very little in the way of meaningful teaching went on. Mr Rosling said I was missing the point. The children were in school and not in the fields. The precedent of education had been set. Some children would learn to read and teachers would get better. “You have to realise that development takes 100 years. You want it to happen in 10,” he said. Are the Roslings being naive? 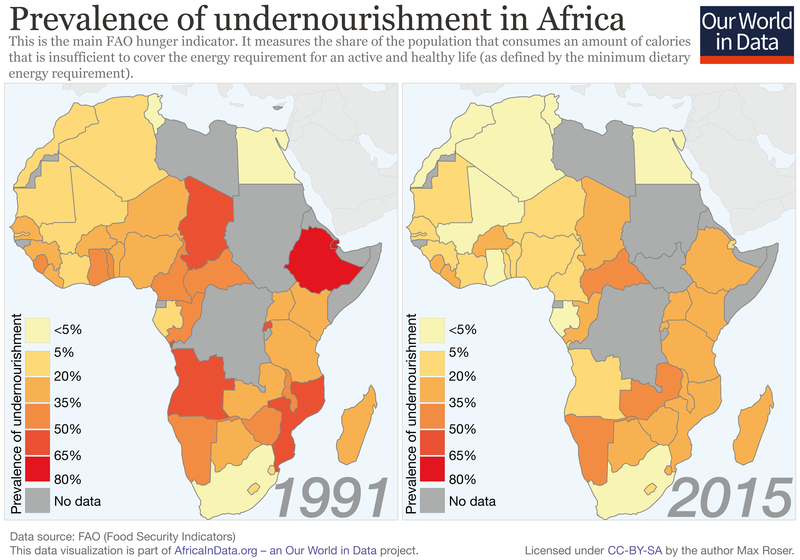 Perhaps Africa really does have fundamental problems that make it difficult to emulate Asia’s miracle. Maybe its brutal colonial experience has left its states too fragile to foster development. Perhaps robots mean it has missed out on the manufacturing age that enabled Asian countries to transform their economies. Perhaps the expected explosion of Africa’s population — from 1bn today to 4bn by the end of the century — will overwhelm the incremental gains highlighted by the Roslings. Some of these doubts smack of the destiny instinct. True naïveté may be believing that things stay the same — or failing to notice the important changes that are already taking place. Rosling Snr saw the locus of world trade shifting from the Atlantic and the Pacific to the Indian Ocean as first Asia and then Africa escaped from poverty. His top investment tip — made only half-jokingly — was beachfront property in Somalia. At least it was a view based on facts, and not prejudice. This is an interesting article in Forbes Africa, about Nigeria’s biggest city of Lagos which it describes as “one of the world’s greatest party capitals” where people do not blink at spending $50,000 (US!) on a night out on the town. Contrary to images of poverty and insurgency in Nigeria’s northwest, Lagos feels like a different planet. The wealth in Lagos is eye popping and the city is well known for its non-stop party scene. It is well known that Nigeria has the second fastest growing rate of champagne consumption in the world (second only to #France). 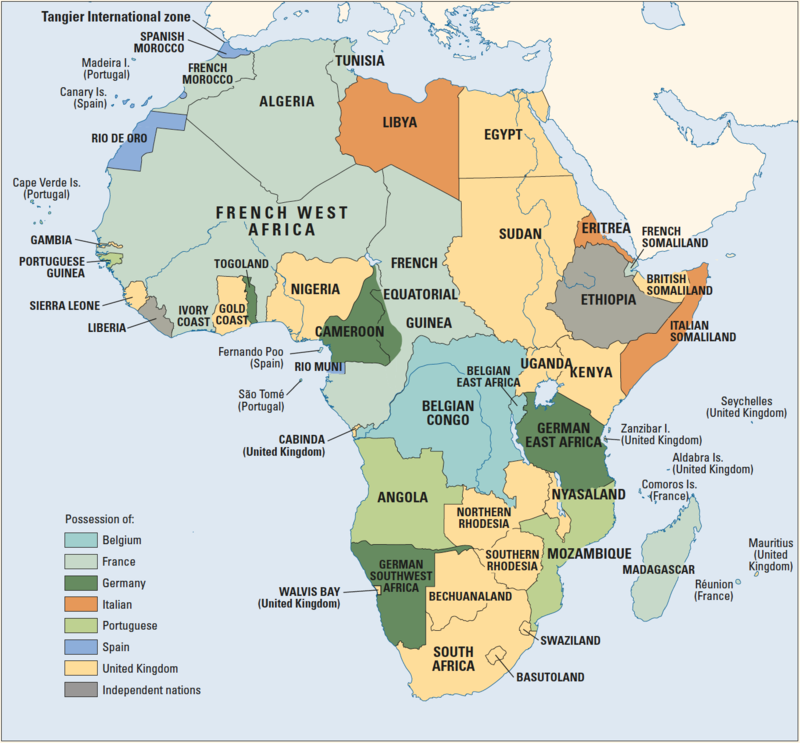 Feel free to read for an alternative view of Africa. The dependency of Nigerian states on remittances from the federal government is well known. However these stats are a useful (and worrying) guide to each state’s internally generated revenue (IGR). Is Corruption in the #Nigerian DNA? With corruption yet again making front page news in Nigeria, I thought it was an at time to resurrect an article I published on this website nearly 8 years ago. It asks whether corruption is a “Nigerian syndrome” and what can be done about it. Nigeria is internationally famous for three things: oil, its Super Eagles football team, and its spectacular government corruption. However, contrary to popular belief it is quite simply a myth that corruption is perpetrated mostly by the government. Most Nigerians are paradoxically and simultaneously, accomplices, active participants, victims and agents provocateurs of corruption in their society. The first step to understanding corruption in Nigeria is the acknowledgment that corruption is the norm rather than the exception. Corruption is part of the system and has even been inadvertently sanctioned by the Constitution. Section 308 of the Constitution shields the President, Vice-President, Governors and Deputy Governors from civil or criminal proceedings, arrest and imprisonment during their term of office. This Section was intended to prevent frivolous lawsuits from being brought against public officers which might impede their management of their official duties. However in a country as notoriously corrupt as Nigeria, it has been a legal cloak for embezzlement, and has placed many public officers above the law. The result has been that several Governors have been able to loot state treasuries at will with no fear of arrest or prosecution. However, corruption is not the exclusive preserve of the government. Although most Nigerians condemn corruption as a practice of the “Big Men” and government officials, most of the population are willing accomplices. There is an inherent hypocrisy among Nigerians about corruption. Most citizens acknowledge that corruption is an impediment to Nigeria’s economic development and reputation, yet the ordinary Nigerian’s unquenchable thirst for the acquisition of material wealth, possessions, fame and power fuels corruption by others. Even those that disapprove of corruption by government officials freely admit that they would do the same if they were in government, and they simultaneously participate in practices that are inappropriate. The fuel industry is an excellent illustrative example of how corruption and dishonesty flows from the top all the way down to the lower rungs of Nigerian society. The oil industry is rightly or wrongly perceived as the epicentre of government corruption and abuse in Nigeria. Is the government alone in its abuse of the oil industry? During fuel strikes and shortages petrol stations have frequently been accused of surreptitiously hoarding fuel in order to deliberately amplify shortages and drive prices even higher. In other words they exploit and deteriorate the misery of the already hyper-extended fuel consumer. Malpractice is not limited to petrol station proprietors. Black market street sellers of fuel in such circumstances are also distrusted by some motorists. Motorists often accuse them of diluting the petrol they sell with other chemicals. In the “food chain” of the oil industry, private citizens also dangerously “tap” oil from pipelines in order to sell on the black market. We should avoid using benign words like “tap” and call the practice what it is: theft. This theft is carried out with no remorse for the fact that the oil being stolen is a national resource, or any thought of the explosive danger caused by damage to pipelines. Thousands of lives have been lost in pipeline fires caused by “tapping”. Once an individual lands a government job, (s)he will be inundated with near irresistible requests for ‘assistance’, finance, contracts and material benefits from members of his or her society. To resist such requests would be to risk being ostracised by their own kinfolk. The community expects and encourages the selective and disproportionate distribution of the “benefits” of government finances to the relatives and community of the government official. The African extended family and patronage system ensures that a government official finds it culturally difficult to resist. If a government official condemns corruption and refuses to use government finances to enrich them self and their community, such an official would be denounced as foolish and would be derided for having nothing to show for their time in government. Negative comparisons would be drawn with other officials who (corruptly) enriched themselves, and the official would be asked why he was still living in the same one house while his colleagues in government have acquired ostentatious status symbols of their time in government such as cars and expensive houses at home and abroad. The current generation of Nigerians do not desire governments or institutions which seek to inhibit their ability to illegally acquire wealth. Nigerians have become accustomed to the culture of corruption around them, and are very quick to condemn and dispense with governments that push the elimination of corruption as a major policy platform. The regime of Major-Generals Buhari and Idiagbon launched a severe and unprecedented anti-corruption campaign for over a year and a half between January 1984 and August 1985. They tried and imprisoned politicians that embezzled state funds. Before long, Nigerians were unhappy with the duo. Disapproval of their anti-corruption campaign was not explicit, but was subtly cotton wooled into ostensibly academic and sober critiques of their “high handed” and “repressive” nature. Nigerians celebrated when Buhari and Idiagbon were overthrown and replaced by a gap toothed armoured corps General from Minna named Ibrahim Babangida. Babangida allowed Nigerians to see the ugly mirror reflection of their morality. He recognized many Nigerians for what they are: commodities whose loyalty and soul is on sale to the highest bidder. Many “pro democracy activists” denounced the corruption that took place under military rulers but were silenced by the financial “settlement” culture that was so pervasive under Generals Babangida and Abacha. The current anti-corruption efforts of the EFCC and ICPC are derided for being “selective” and for not catching every corrupt individual. These unsophisticated criticisms are the moral equivalent of a bank robber objecting to his arrest by the police on the grounds that other bank robbers whom the police have not arrested are still on the loose. The author is of the opinion that most Nigerians should be grateful for this “selective” prosecution by the EFCC because if every corrupt Nigerian adult was arrested: (i) there would not be enough prisons and detention space to hold them, and (ii) a great deal of the workforce would be behind bars. Nigeria has bred something far more sinister and sophisticated than petty graft and bribery. The still unaccounted $12 billion dollar gulf war oil windfall, the Okigbo report that has never been acted upon and the absence of public outrage at these events is symbolic of the tacit acceptance of corrupt practices as “The Nigerian Way”. Corruption in Nigeria is not just an offshoot of collapsed social and governmental institutions, nor is it the result of a hostile economic environment. The roots go much deeper and are symptomatic of the gradual but residual breakdown of Nigerian societal values and morality. It is the result of Nigerians’ failure to distinguish right from wrong, and of a nationwide refusal to condemn dishonesty. Nigerians only condemn corruption when they are not the beneficiaries of it. Western nations have lower levels of corruption not only because their law enforcement authorities are more zealous. The psyche of their citizens is different from that of the Nigerian. The UK and New Zealand are two countries with the lowest levels of official corruption in the world. The overwhelming majority of citizens in those countries reflexively obey the law as a matter of their nature and inner will. They do not have to be coerced into obedience. This is due to the attitudinal and societal rejection of corruption in these countries. There is a moral consensus in these countries that corruption is degenerative for their society.What can be done for Nigeria? I propose two approaches that might be a god start. The first step is the elimination of the systemic procedure which inhibits measures aimed at eliminating corruption. Section 308 of the Constitution should be amended (not deleted) so that the President, Vice-President, Governors and Deputy Governors should be immune from civil, but not criminal proceedings. The semantic difference is that such officials would be immune from being sued in vexatious civil litigation (with apologies to Gani Fawehinmi) but would not be immune from investigation, arrest or imprisonment for the commission of crimes (including those involving corrupt practices and financial impropriety). However such a constitutional amendment is unlikely to occur anytime in the near future. The prerequisites for a constitutional amendment are formidable. Constitutional amendments in Nigeria require a two-thirds majority approval vote in the federal Senate and House of Representatives, and further approval by two-thirds of the 36 State House of Assemblies in Nigeria. To reach such a degree of consensus in a country as large and fractious as Nigeria would be near miraculous. Other methods are required. Nigeria needs a moral revolution. That moral revolution cannot be accomplished while the present generation remains. Many members of the present generation have been so utterly corrupted that they are beyond redemption. Nigeria cannot and will not progress until they expire. Hope lies in the young and unborn who have not yet been tainted by the society around them. By inculcating from a young age, the destructive social effects of corruption, a new more honest generation may emerge in future. The teaching of values should be compulsorily incorporated into academic syllabi from primary school until the completion of university. I will not deny that this sounds like a subtle form of indoctrination, but it might be the only way to save Nigeria from itself. Corruption in Nigeria will be brought down to manageable levels only when a national consensus is reached that corruption is a corrosive impediment, and when it is rejected by the majority of the population. This is an article I wrote in Foreign Policy about the role that Western countries play in African corruption. squandered an estimated $400 billion. But as the barbed comments from Buhari imply, these leaders had accomplices in the West. Britain and other developed countries are not the cause of Africa’s corruption, but they are certainly an impediment to its eradication. African governments are fighting a battle on two fronts. Even when they successfully prosecute corruption at home, they often have to restart litigation in foreign countries to have any hope of accessing the stolen funds. In other words, they must litigate every crime twice: domestically to secure a conviction, and abroad to recover the money. This all but ensures that the stolen funds won’t be repatriated in full, since foreign lawyers typically collect a percentage of the money they recover. For African governments, illicit financial flows are lose-lose. But for Western firms, they’re win-win: There are profits to be made whether or not the money is eventually recovered and returned. Interview with the new Emir of Kano Muhammed Sanusi II (AKA Sanusi Lamido Sanusi) about the Boko Haram insurgency in northern Nigeria. Islam “preaches education for all adherents”. Marrying young Muslim girls off at a young age is actually a cultural (not Islamic) practice “that is not consistent with the teachings of the (Muslim) religion)”. Poverty level in northern Nigeria provides a fertile breeding ground for militancy. Says the same thing happened in the Niger Delta. Boko Haram insurgency must be tackled via an economic “Marshall Plan” for northern Nigeria. Says insurgency calmed down in Kano because of investment in infrastructure there. “As long as people are gainfully employed they are not likely to jump into the bandwagon of insurgency”.